This is an encore episode (and writing) that aired originally on May 25, 2013. Twenty-six miles from Palm Springs, in Indio, California, a large event is staged every year. It's called the Coachella Valley Music and Arts Festival. Started in 1999, it's a big two-weekend gathering that draws over 80,000 people a day. Nearly 180 musical acts perform, and while the festival has hosted big names like Paul McCartney, Madonna and Foo Fighters, it's also an important showcase for emerging artists. Rapper Snoop Dogg (L) and a hologram of deceased Tupac Shakur perform onstage during day 3 of the 2012 Coachella Valley Music & Arts Festival at the Empire Polo Field on April 15, 2012 in Indio, California. (Photo by Christopher Polk/Getty Images for Coachella) (Christopher Polk/Getty Images for Coachella) Over the years, the festival has had many stand-out performances. But none was more famous than one particular event that occurred last year. During the closing night concert, Dr. Dre and Snoop Dogg were joined onstage by hip-hop legend, Tupac Shakur. You may not think that's so earth-shattering. Except that Tupac died fifteen years ago. He appeared as a life-sized hologram, strutting across the stage, and stunned the crowd by yelling out, "What's up, Coachella?" He not only sang and danced with Snoop Dogg and Dr. Dre, he interacted with them. The jaw-dropping spectacle was created by the same visual effects company that had produced the film, The Curious Case of Benjamin Button. Because of the remarkable advances in computer imagery and audio, they were able to create fresh movements and new dialogue. 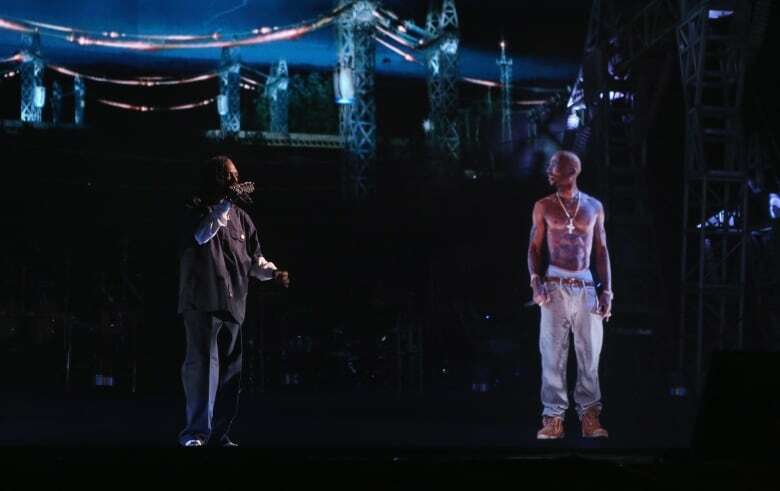 As a company spokesperson later pointed out, the Tupac hologram wasn't found footage, and it wasn't from an existing archival clip – it was an illusion. And it completely wowed the Coachella crowd. And it will wow you, too, when you watch it on our website. It was so astonishing, as a matter of fact, it makes you wonder if a deceased musician could now – theoretically – go out on tour. Dead celebrities have been very busy lately. The advertising industry alone has been resurrecting them for over twenty years. The use of deceased stars holds a great allure for advertisers. The celebrities remain famous, they never get into trouble, and their good looks are frozen in time. And now with the leaps in technology, they can be made to do - and say - anything. As a marketing strategy, they attract a lot of money, a lot of attention, and lots of controversy. It's a brand new world, now that nobody's dead anymore. At a Hollywood party on the evening of August 16, 1977, word spread that Elvis had just died at his Graceland mansion in Memphis. Amid the shock, one talent agent broke the silence by saying, "Good career move." As Time Magazine later noted, rarely has sarcasm been so prophetic - as many celebrities become more valuable in memory than they were in real life. The marketing of dead celebrities has become big business. Some estimates put licensing and royalty figures at an astounding $2.25 billion annually. American popular singer and film star Elvis Presley (1935 - 1977), to his fans the undisputed King of Rock 'n' Roll. (Getty Images) In 2008, CKX Inc, a U.S. entertainment firm, paid $100 million for an 85% stake in the Elvis Presley estate. In 2012, Marilyn Monroe's image was purchased for a rumoured $20-$30 million by a Canadian marketing firm called The Authentic Brands Group. There is even a term for dead celebs who earn big annual revenues: They're called "delebs." Forbes publishes an annual list of the top earning dead celebrities - and some of them may surprise you. In the number one spot, earning a staggering $210 million in 2012 – was Elizabeth Taylor. Most of that came from a one-time auction of her possessions, which raked in over $180 million. Elvis Presley. 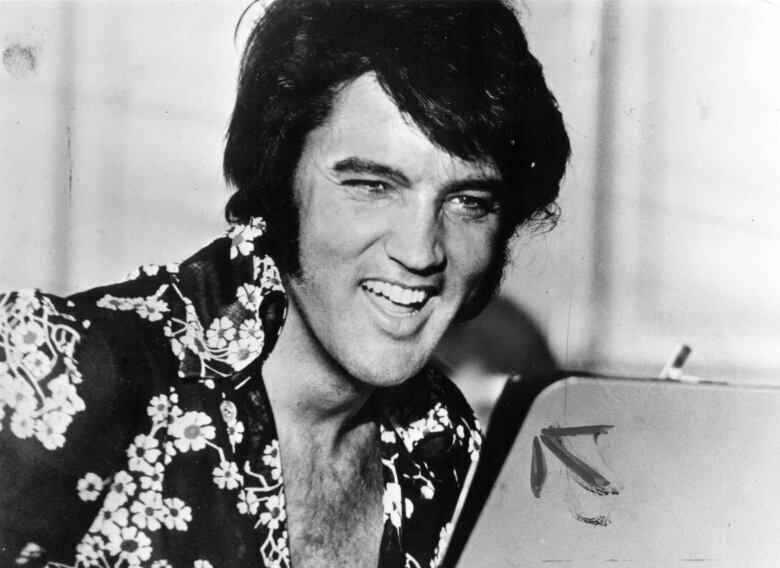 The King of Rock 'n Roll shook up $55 million in revenue. 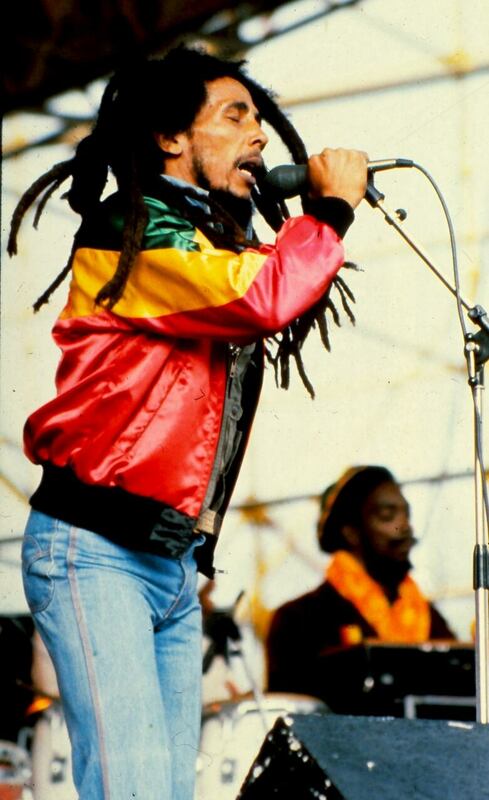 Bob Marley is seen during a 1981 show in Madrid, Spain. (Gianni Ferrari/Getty Images) Deleb number four may also surprise you. It's Charles Schulz. The Peanuts creator earned $37 million, a full sixty years after his comic strip was first published. Number five is Bob Marley. The reggae star is very diversified in his post-life holdings, with a beverage company that sells "Marley Mellow Mood" relaxation drinks, and another that sells headphones and speakers. The leader of the Beatles comes in at number six, earning $12 million, with Yoko at the steering wheel. Marilyn Monroe and Albert Einstein both earned $10 million in 2012. Monroe died in 1962, and Mr. Einstein bequeathed his estate to the Hebrew University of Jerusalem when he died in 1955. While clucks come from chickens and quacks come from ducks, the next person on our list took home $9 million bucks. Yes, it's Dr. Seuss, who died in 1991. And rounding out the list of top earning dead celebrities was the King of Cool, Steve McQueen. He earned $8 million. Clearly, the business of marketing dead celebrities is a lucrative one. UPDATE: Read Forbes list of top-earning celebrities of 2017 here. For more stories from Under The Influence, click or tap on the "Listen" tab to hear the full episode. Follow the journey on Facebook, Twitter and Instagram, and search for the hashtag: #Terstream.